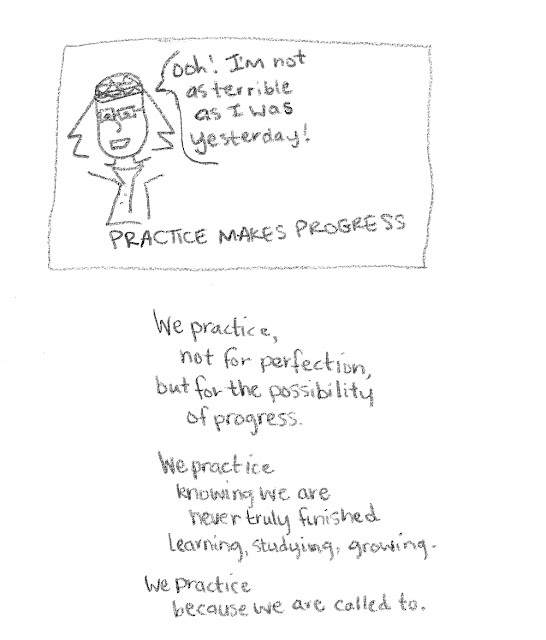 I say we are all practicing humans. It's scary because we're never done. We practice listening to what the universe is asking of us. What our friends are asking of us. What our bodies are asking of us. What love is asking of us. whether or not we want it to. may not always be the way to practice moving forward. I celebrated my 10th anniversary of practicing vegetarianism in June. I've eaten a lot of accidental ham in the meantime. and we practice how to not do that again in the future. can get turned on its head. and apply it to our practice. Even if we realize we've been practicing wrong.